Blinc is a pristine line of cosmetics where innovation meets beauty. Founded in 1999, the mission of Blinc was to perfect and solve beauty problems by creating superior beauty products. Today, they have achieved that goal, with products sold in over thirty countries worldwide and growing. 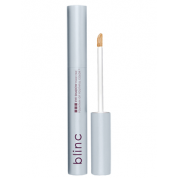 Blinc is a pristine line of cosmetics where innovation meets beauty. Founded in 1999, the mission of Blinc Mascara was to perfect and solve beauty problems by creating superior beauty products. Today, they have achieved that goal, with products sold in over thirty countries worldwide and growing. Blinc has been so successful in their endeavors; they have continuously ranked on the Inc. 5000 list as one of the Nation’s fastest growing private companies. Blinc has exceptional beauty products, developed to surpass competitors in performance and application quality. They are created as extraordinary beauty products in the industry that deliver results on every level and rank as some of the best cosmetics in the world. Blinc stands 100% behind all of their product claims and are confident you will be genuinely pleased with the results that you get from their outstanding formulas. Try their incredibly performing mascara, eyebrow mousse, eye shadow, eyeliner, lash liner and curler, as well as their amazing resurfacing solutions for inhibiting ingrown hairs and razor bumps, facial resurfacer to remove dull, dead skin cells, and callous remover and treatment for the body! Blinc products are available online anytime through Skin Care by Alana, in Orange County, CA. Call 7 days a week to speak to a live esthetician for more information or to order products. 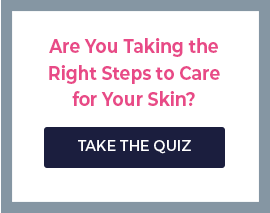 As one of Blinc’s largest retailers, Skin Care by Alana has extensive experience with the products and can help you with all of your skin care and cosmetic needs. Shipping is free to anywhere in the United States all the time! Call us today and see what makes us a step ahead of the competition in the skin care industry!